How exciting, another gathering with The International Cooking Club ! The theme for this get together is Seasonal Produce. 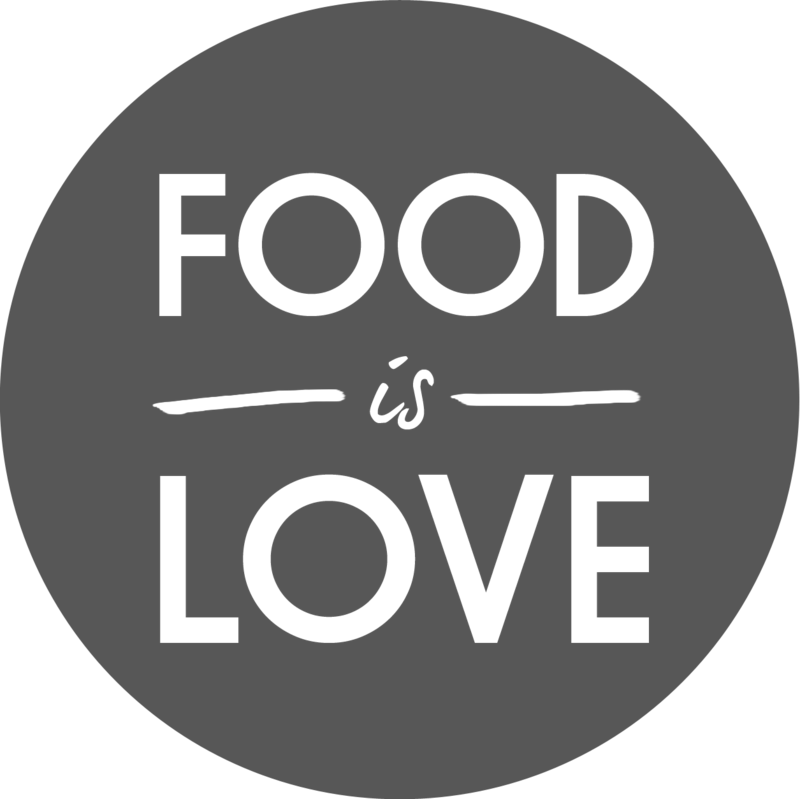 The variety of dishes is just great. This time my contribution consisted of two different salads. 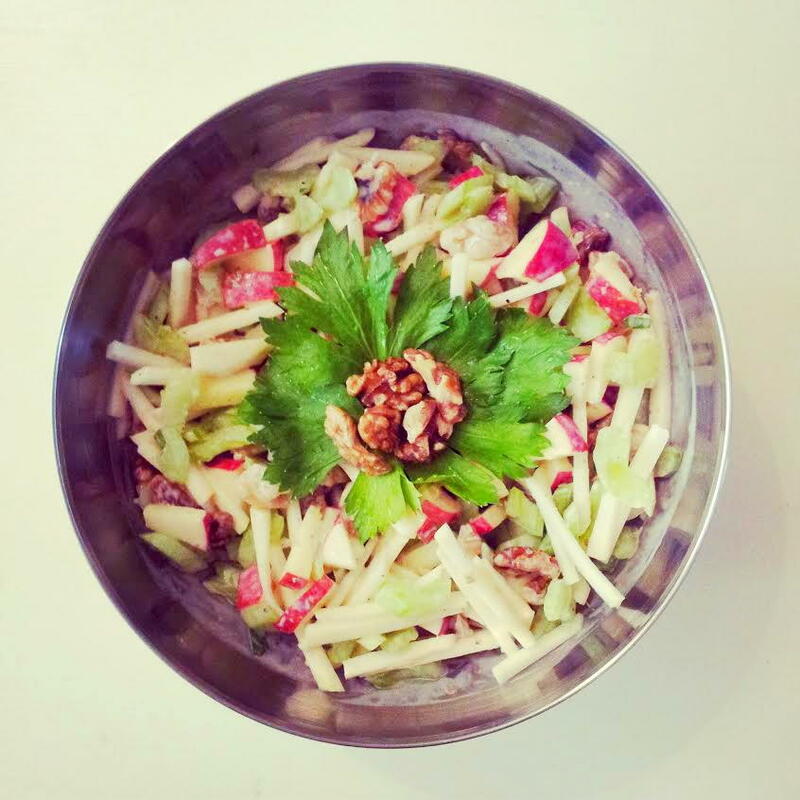 This recipe is one of them, the Waldorf Salad, an American fruit salad with walnuts, apples, celery and mayonnaise. It’s one of the most famous salads ever and there are a lot of variations. The maître d’hôtel (at New York’s Waldorf-Astoria Hotel), Oscar Tschirky first created the Waldorf salad in 1896 and it was an instant success. Gently heat the chopped walnuts in a frying pan for about 3 minutes. Toss them regularly. 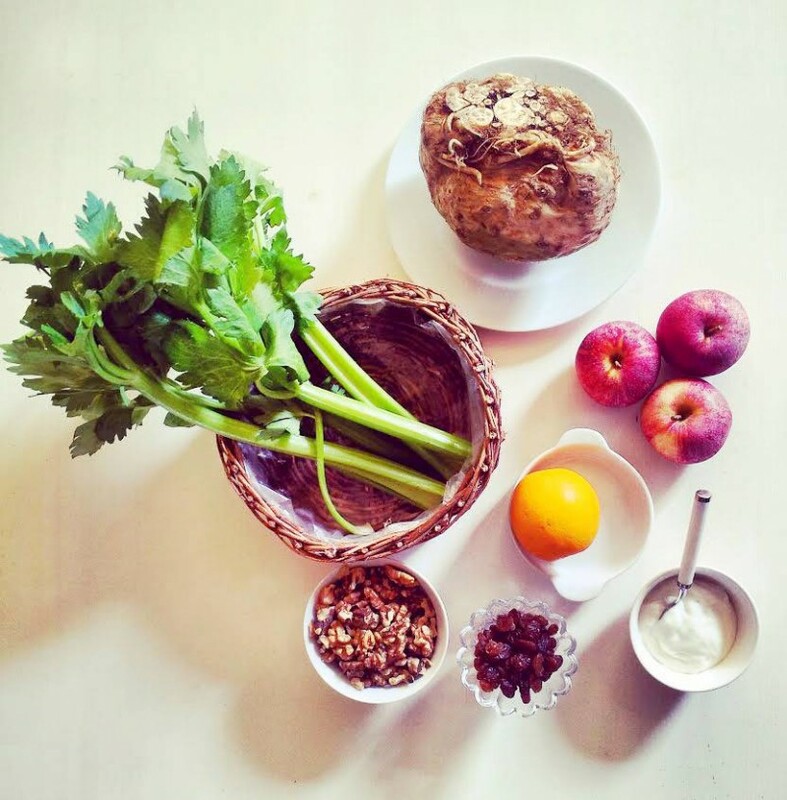 In a bowl combine the celeriac, apple, raisins, celery, walnuts, and 1/2 of the orange juice. In a separate bowl, blend together the mayonnaise, sugar, and 1/2 orange juice with some pepper. Mix everything together and add a tiny bit of salt. Decorate with some celery leaves and whole walnuts.